6moons audio industry features: The Year of the Ncore? Looking back over 2013, I'd predicted—speculated, hoped—that it'd be the year Bruno Putzeys' Hypex Ncore 1200 tech would make serious noise in the market. It did and it didn't. Curiously those who made any actual noise were the OEMs, first of these Merrill Audio with their Veritas models, second Bel Canto Design with their new Black range whose power modules run low-gain Ncore boards. BCD's move from tubes to Tripath then ICEpower and now for their statement model Ncore is descriptive. Numerous reviews (Tone Audio, PFO, Dagogo) and show sightings of the Veritas monos gave them the high marks which my own review of this technology in the Acoustic Imagery Atsah monos had suggested were due. Meanwhile press visibility and chat-room commentary on Bruno's own Mola-Mola Kaluga monos was far more sporadic. The actual roll-out of first production was delayed numerous times when the curvy form factor of his casings proved beyond two machine shops to execute at the necessary quality. Drawing fancy shapes in 3D software is easy. Getting stuff made your head dreams up needn't be. Marja & Henk thus received their actual review loaners far later in the year than anticipated. The Kalugas now had to slot into their first-come first-serve schedule to mute our own contributions to more noise on the subject in 2013. Meanwhile Merrill Wettasinghe, former Hewlett Packard executive and owner of Merrill Audio, had contacted 6moons with a request to review his Veritas. Raising an appreciative hand from Switzerland rather than setting up one of our US writers—sometimes being boss means pulling rank—Merrill declined by citing unattractive EU VAT and two-way ship fees across the Atlantic. Curiously he did promise to send me a battery-powered version in 2014. I fail to see though how this will influence the subject of paying for a review privilege by covering the normal business expense of ship fees. Merrill since also introduced the Thor monos as their take on AURALiC's Meraks, i.e. Hypex UcD400-based 'trickle-down Ncore' tech to hit a lower price point than Ncore OEMs can achieve. Rogue Audio have their own take on the subject which adds valves to the front-end circuit. 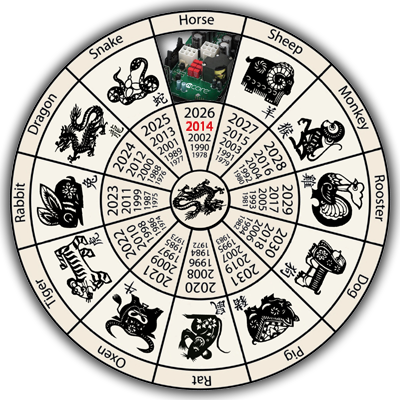 Will 2014 finally prove to become The Year of the Ncore as our audiophile version of the Chinese Zodiac? Now that Bel Canto Design as a house with established distribution and a firm grip on marketing are committed to this technology, I expect the virtual signal-to-noise ratio to go up on it. With a claimed 128dB for the actual figure, it deserves to. How will Hypex as the actual inventor do with Mola-Mola? That remains to be seen. Where Bel Canto mate their monos to a full-featured preamp with beautiful display and remote control, Mola-Mola take away display and remote. From this and other indications it seems that their engineering department is out of touch with marketing (if they even do the latter). Of course until now Hypex never really needed a marketing department. They were a pure OEM providing other makers with hardware solutions. Transitioning from that to running one's own brand and dealer network is a very different kettle of fish even if one calls oneself a big fish. With Hypex the challenge is still deeper. Not only do they continue to OEM to compete with their own partners, they support the DIY market with its own Ncore version, at pricing that in a nice box nets a pair of $2'000 amps whilst all commercial Ncore 1200 variants are upward of $10'000. That alone shows how Hypex and marketing aren't talking. If this impacts actual tech—it's hard to see how it couldn't—I would consider it a real loss. Ncore has merit. Monaco dealer Geoffrey Armstrong drives his Rethm Saadhana v3 with a pair of Ncore monos off a Zodiac Audio Platinum DAC. Considering how Rethm is usually driven by valve amps, that's suggestive. To close out, this year will finally see M&H's formal review of the Kaluga amps. I'll stand by in hopes of weighing in via another maker. Predictions aren't about hoping for things to happen. They're about making them happen. Which holds true also for the endless whining about the impending death of high-end audio. Isn't it more sensible entirely to focus on predictions you want to see come to pass, then doing your utmost to pave their way? So here's my encore for 2014. Am I betting on the right horse you think? Doug Schneider of SoundStage! seems to think so. In his coverage of the 2013 Tokyo International Audio Show, his favorite system "comprised an EMM Labs TSDX SACD/CD transport and DAC2X digital-to-analog converter, a Mola-Mola Makua preamp and Kaluga mono amps, Stealth cables (model names missed), and Lansche Audio’s No.5.1 speakers: a three-way design with a proprietary plasma tweeter, selling in Japan for ¥4,620,000/pair (about $46,000). I was already pretty familiar with the other gear and thought well of it, particularly the EMM Labs electronics - I have a DAC2X DAC and PRE2 preamplifier at home. I’d seen and heard Lansche speakers before (e.g. at Munich’s High End event each year), and they’d always sounded ordinary. But at TIAS they sounded startlingly extraordinary: effortless highs, spectacularly smooth mids and strong bass, all integrated into a very involving, highly listenable sound." And former SoundStage! editor Marc Mickelson now with The Audio Beat selected the Mola Mola exhibit of CES 2014 as one of his two best-of-show rooms: "Over in the luxurious and hushed environs of the Mirage, Philip O’Hanlon of On A Higher Note was entertaining visitors with DSD recordings he made from his favorite vinyl. The system consisted of a MacBook, Luxman D-06 DAC ($4990), Mola Mola Kaluga preamplifier ($10,000) and Mola Mola Makua monoblocks ($15,000/pair) driving the new Vivid G4 Giya speakers ($33,000/pair). The G4s are 60% of the size of the G3 Giya launched last year and incorporate a new Vivid-made lower-midrange driver. This one has a 4" long-throw cone in a 5" chassis. The G4's upper-mid and tweeter are as found in the rest of the Giya range as are the 5" side-firing bass drivers in the composite sandwich enclosure. Apparently, at a meter tall, this is as small as a Giya model is going to get. The cables in this system were Kubala-Sosna Emotion for the most part, but the USB cable came from Transparent Audio.The system sounded totally effortless and immensely revealing with a range of music. We were particularly taken with "Royals" by Lorde - apparently a pop song by a 17-year-old but she must have found a great producer to make such a sound. We managed to play a piece on this system, Samuel Yirga’s "The Habasha Sessions" (from Bowers & Wilkins’ Society of Sound) which was simply transporting in its realism. The speakers plain disappeared, leaving the piano and band, solid and engrossing, behind.